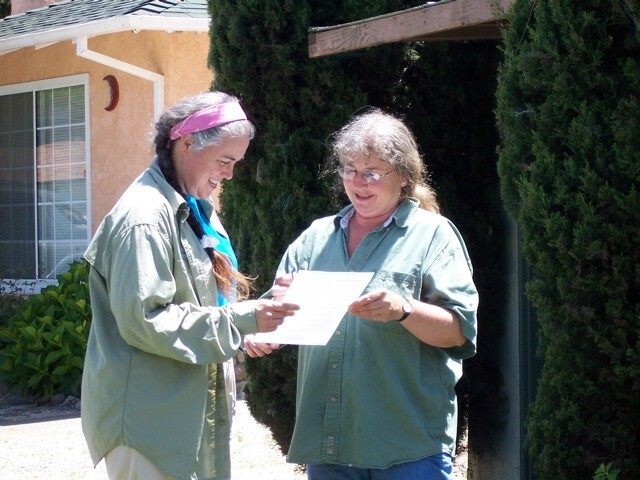 I manage the Napa County UC Master Gardener program and the program's volunteers. I assist with volunteer training and help coordinate the Master Gardeners' public outreach programs for home gardeners in Napa County. I love sharing the excitement of discovery, figuring out how to solve a gardening problem in the least toxic way using UC resources. Helping people find resources to help them become more successful in their garden. Helping make gardening fun rather than a chore. I had a friend who previously held this position and she told me she thought I would enjoy the job. It was the first time I ever read a job description that seemed to really fit me and all my interests. I love working with UC, the volunteers, and the public. I appreciate being connected to the most current research-based information from UC and being able to pass it along.